Super Eagles technical adviser, Gernot Rohr has banned members of his squad from eating goat meat and pepper soup as they prepare for the 2018 World Cup in Russia. Super Eagles were beaten in their last three warm-up games ahead of the tournament. The German gaffer has stopped the players who are camped in Austria from some certain meals as he bids to keep them in good condition for the tournament. In an interview with Omasports TV, the Franco-German coach said his players will not be permitted to eat goat meat, pepper soup, and other spicy foods. Rohr further revealed that there may be conditions that could alter the ban. 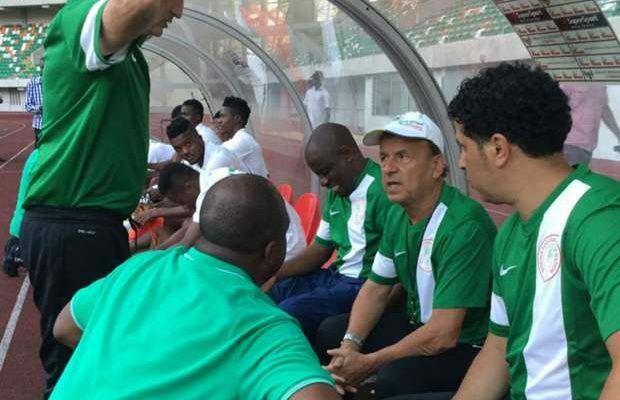 0 Response to "Super Eagles Boss Rohr Bans Players From Eating ‘Goat Meat & Pepper Soup’"